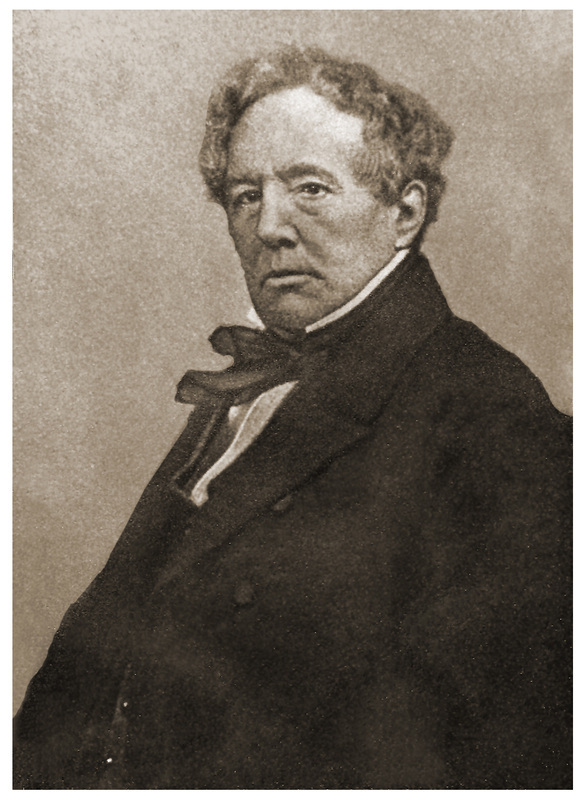 John Dickinson born in 1782 began his career before the age of 15 and soon grasped the essentials of the business. 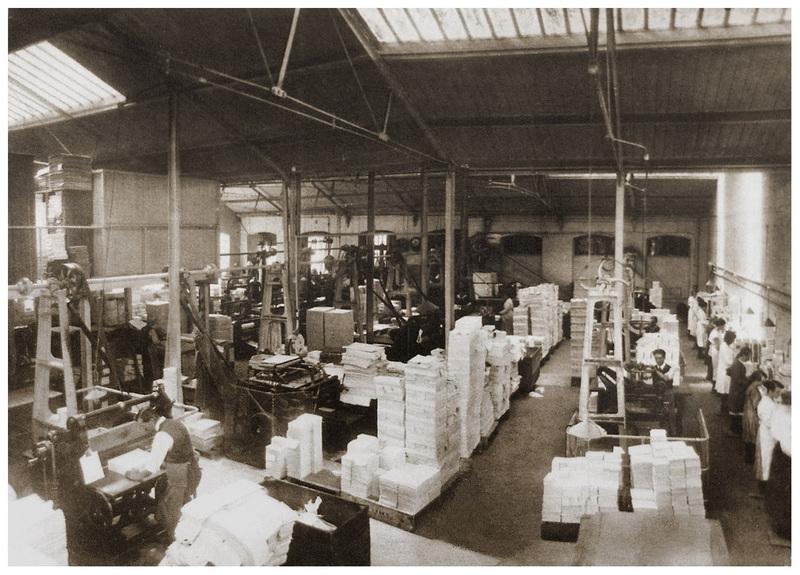 At this time paper was produced in single sheets; a very laborious and heavy process. After his seven year apprenticeship was completed he was admitted to the livery of Stationers’ Company but some three years earlier he had begun trading as a stationer selling ready made paper, acquiring premises and setting up eventually in Ludgate Street (now Hill). He soon became aware that there were more efficient techniques being explored to produce paper using advanced methods. Some years before, a Frenchman called Saint-Léger Didot had been devoting his attention to the development of papermaking at Essonne. One of his workers, Louis-Nicolas Robert,had designed a machine that could produce paper on a larger scale, instead of by hand, and this was in use in 1797/98. 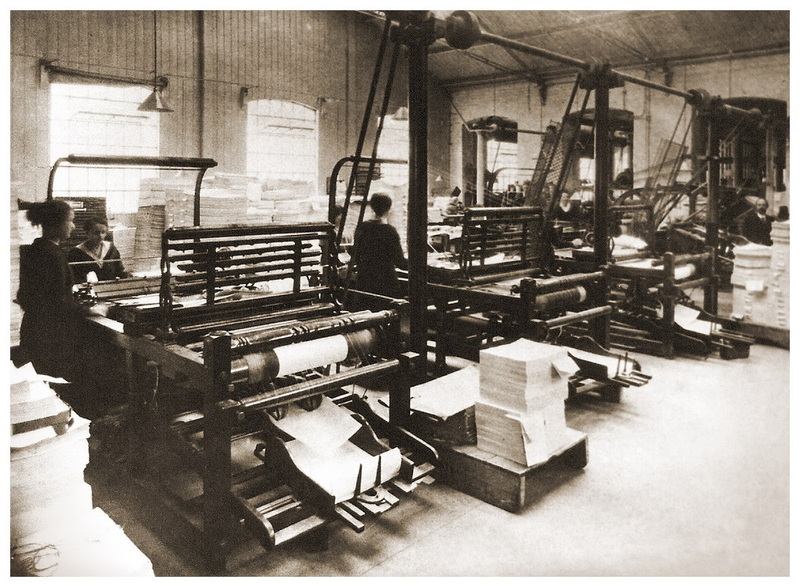 The process enabled longer and wider sheets to be made, but the paper still required removing and drying. Its success, however, created difficulties following the application for a patent and Robert quarrelled with Didot over its ownership. Eventually, John Gamble, Didot’s brother-in-law and a paper manufacturer in England became involved and began to seek ways of making an even larger, more advanced machine. 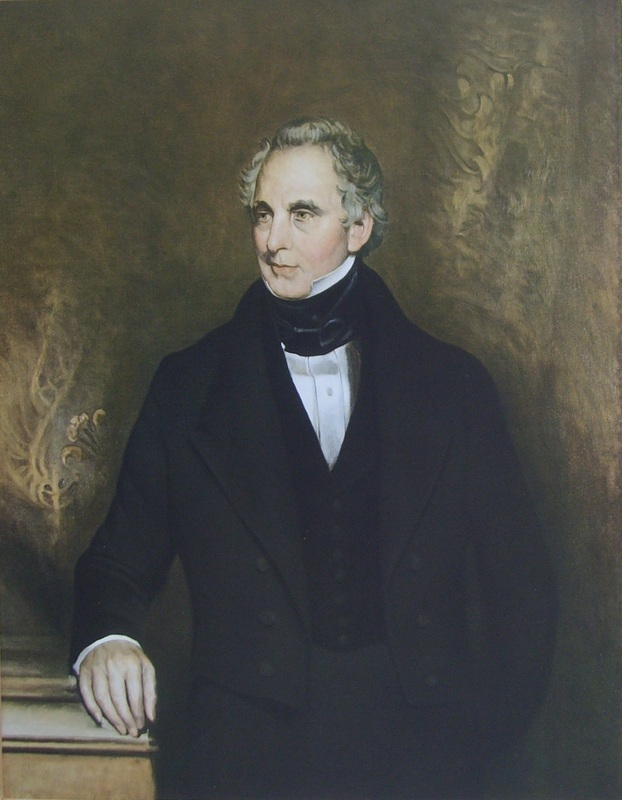 Gamble approached two brothers, Sealy and Henry Fourdrinier, who ran a succesful stationery business also in England and an engineer called Bryan Donkin. 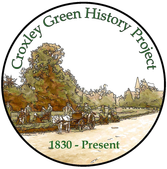 An improved version was developed and installed at Frogmore nr Hemel Hempstead in 1803, securing additional British patents. Further improvements were to follow and another machine was built at Two Waters. It was unfortunate that even in those days this type of venture was expensive and caused the Fourdrinier brothers to become bankrupt, owing some £60,000 by 1810. 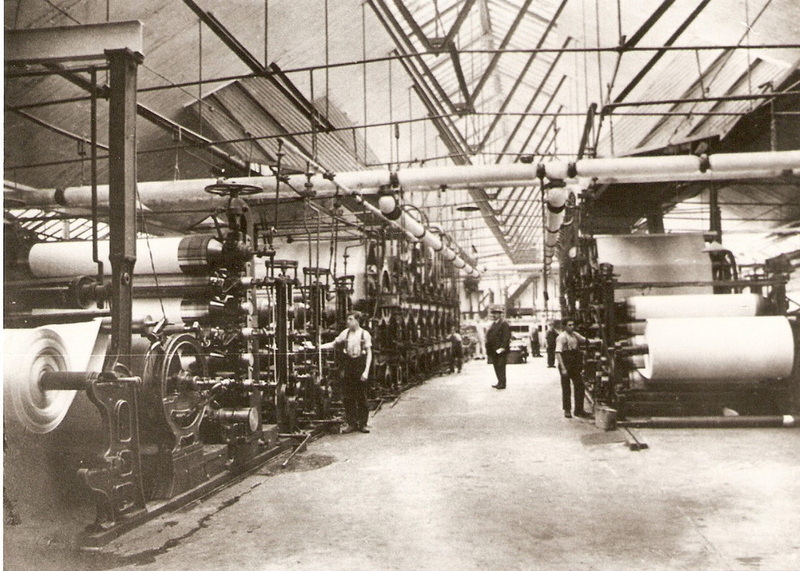 Aware that these experimental improvements in paper manufacture were being conducted, John Dickinson also set about designing his own machine and eventually his version proved to be more successful.In addition, his ambitions of acquiring his own paper mill were realised; he was familiar with the Hemel Hempstead area having bought paper from Apsley Mill, owned by George Stafford. He successfully purchased Stafford's mill in 1809 and nearby Nash Mills in 1810. The proximity of the canal and its feeder, the River Gade also influenced the choice of location. 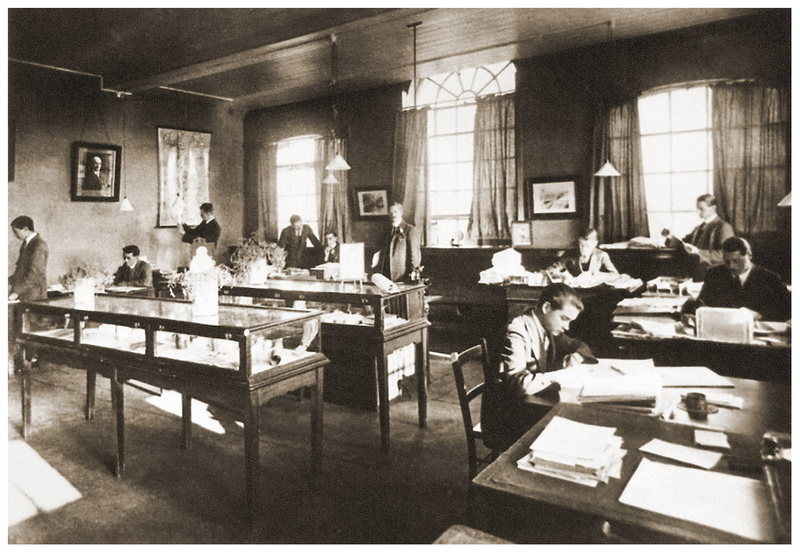 A financial partnership with George Longman, son of a publisher from the Longman publishing house in London, was formed around this time and their Head Office (business) moved to 63, Old Bailey, London. 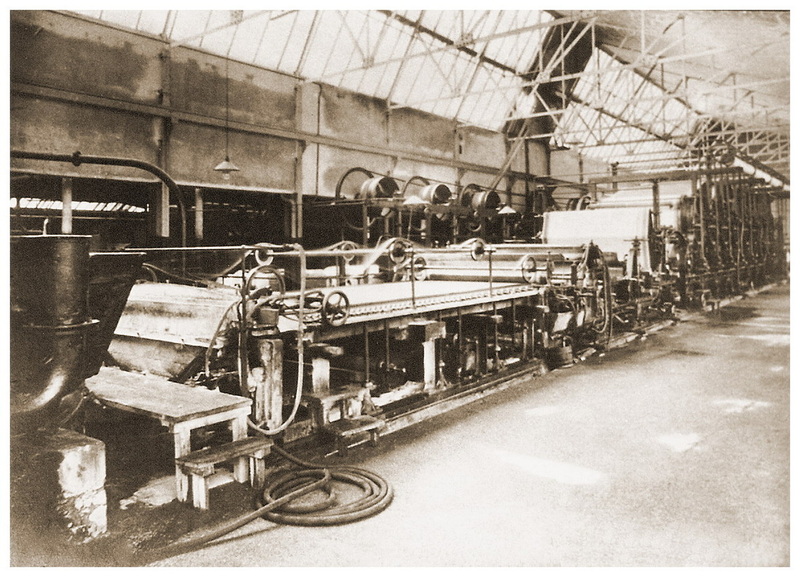 John Dickinson’s machine now enabled paper to be processed from pulp, into a continuous length, dried and finished into large rolls. This was achieved by using a framework to carry the pulp through several stages until the paper was dried and rolled onto large reels. The term for this process became known as an ‘endless web’. Depending on the sizes of paper required, the rolls were then guillotined on special ‘cutting machines’ into the end product. 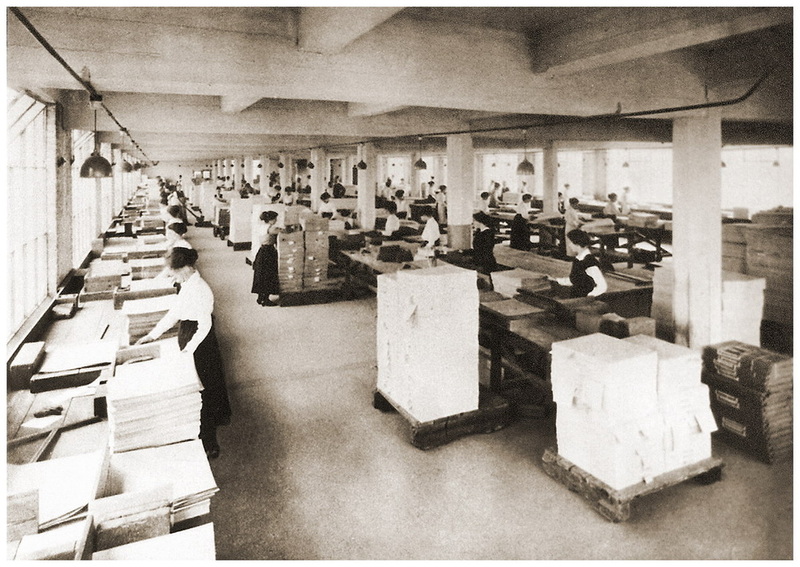 This method also transformed the quality of paper, producing many grades for the publishing and printing industry. Eventually, towards the latter part of the century, this process was to prove vital in the education system. Additional text and exercise books for schools were more widely available as well as being produced more cheaply. John Dickinson of Hertfordshire was to become recognised as the world’s leading paper manufacturer. In the early years, John Dickinson was very ambitious and concentrated on building up the business, acquiring a mill in 1818 at Batchworth, Rickmansworth. Familiarly known as ‘Batcher’ this was a ‘rag mill’ where rag material was sorted, buttons etc removed and the rags prepared for use in the next stage of the processing to produce paper. This was called ‘half stuff.’ It was not long before John Dickinson was producing large quantities of paper using steam power and as he became more ambitious Home Park was built nearby by and the canal was now a useful transport system. 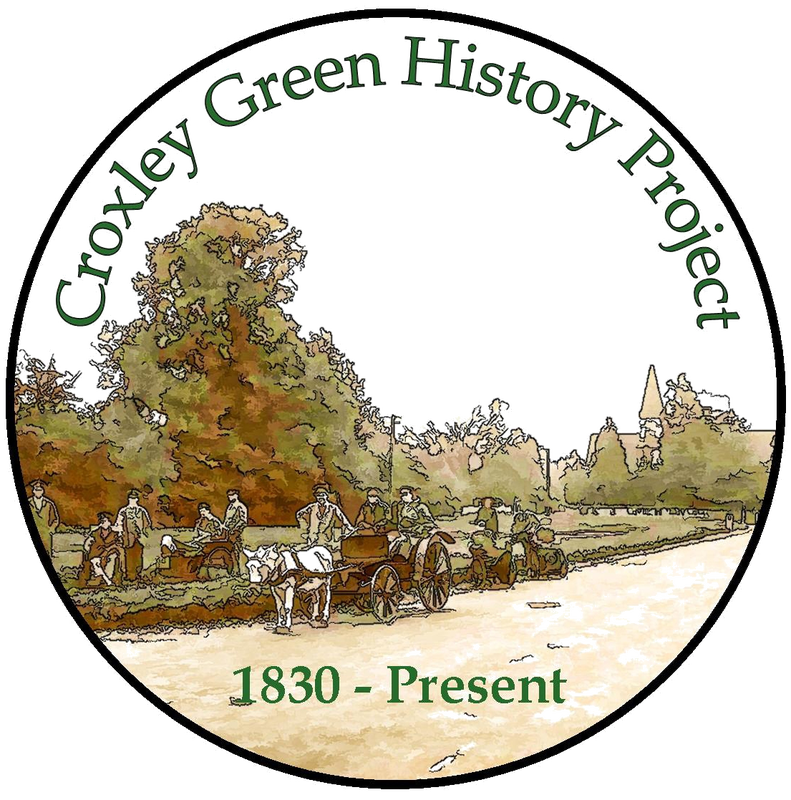 Consequently, his drive and aspirations led him towards Croxley Green and Common Moor to build another mill. With the River Gade and the canal- close by, it was an ideal site, and Dickinson set about purchasing the land owned by Gonville and Caius College, Cambridge. A private Act of Parliament was passed in 1828 for this to be achieved. The Mill was formally opened in 1829 with a lavish dinner held in the Salle and invited guests included friends and relations as well as John Dickinson’s chief customers. Production began the following year, in1830. However, Lord Ebury, who at this time would have had an uninterrupted view of the mill, took exception to it and insisted an Egyptian façade was built to improve his view. 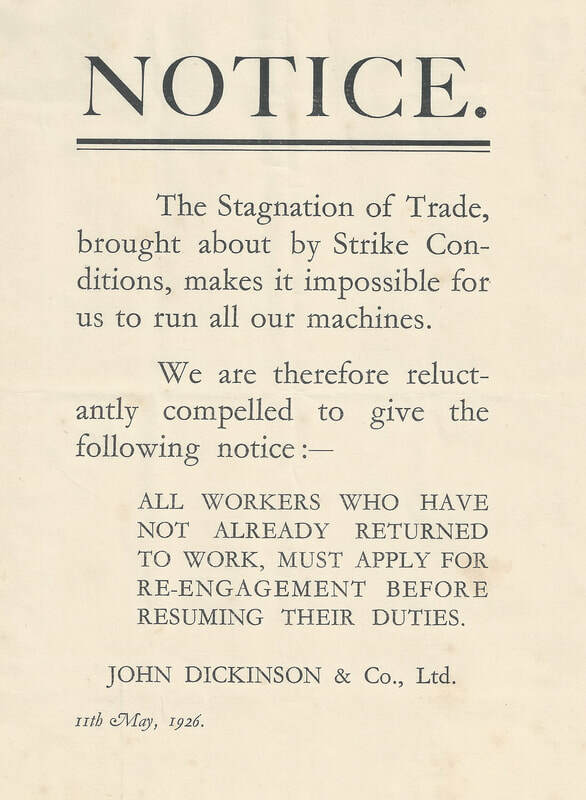 As the industrial revolution progressed, workers were greatly concerned at the perceived loss of employment due to the proliferation of machinery. Soon after the Mill was opened, a gang of machine breakers from Buckinghamshire were seen marching north of Apsley intent on causing damage and disruption to all the mills. Dickinson swiftly organised a plan of action to defend all the sites. It so happened that just as they were approaching Apsley, the Old Berkley Hunt was riding in the vicinity and the labourers, mistaking them for the Militia (whose uniforms were of a similar colour to clothes worn in hunting), dispersed very quickly indeed and no harm came of it. During the next 50 years the Croxley Mill underwent many periods of change by way of re- organistion of all the mills within the Company. At the same time it became essential for a fire brigade to be formed because of the ‘paper hazard’ as well as dust that easily accumulated. Set up initially in 1883 at Apsley Mill by volunteers, it was captained by John Dickinson’s great nephew Lewis Evans. 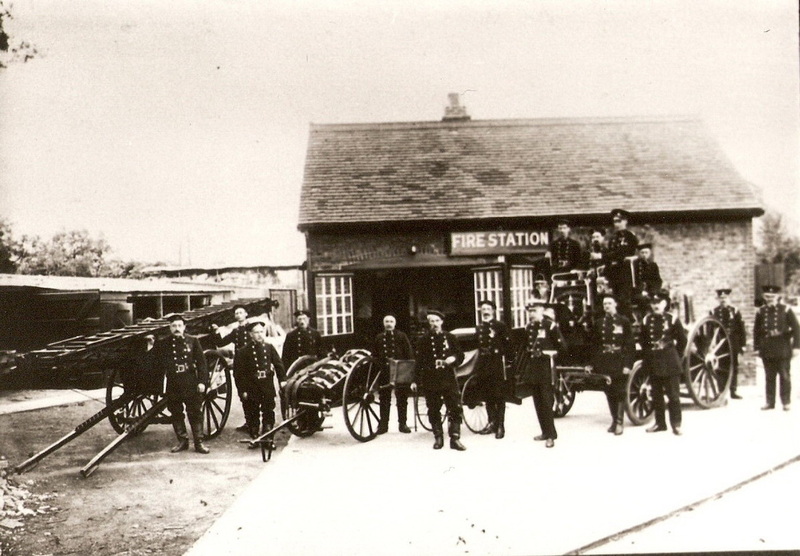 Eventually Croxley Mill also achieved a fire station with a hand pump machine and horse drawn appliance. 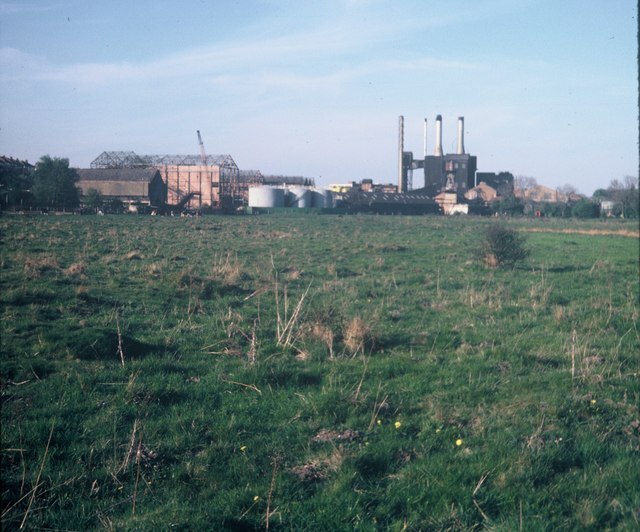 By 1887 the Croxley site had increased to 16 acres and Batchworth Mill was closed; the production of paper was now mostly concentrated at the Croxley location. 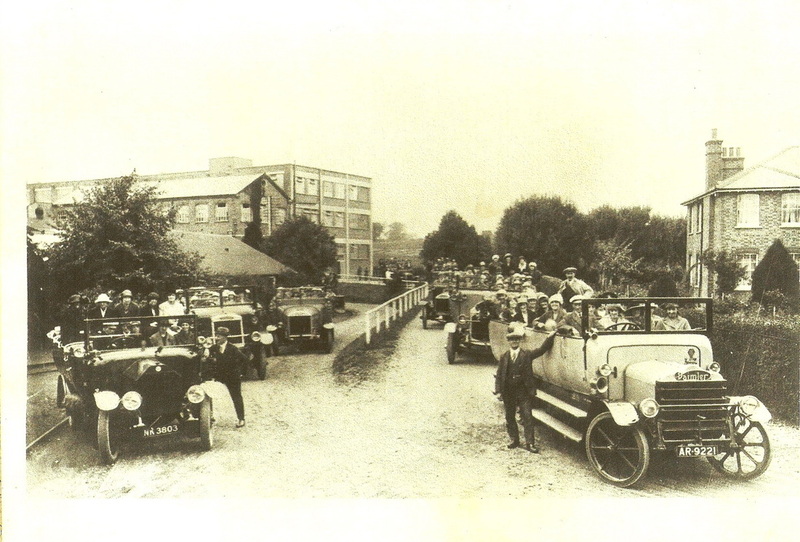 Employees for the mill began to arrive from all over Great Britain in addition to those transferred from Apsley. They settled in and around Croxley Green, thereby increasing the demand for new housing. 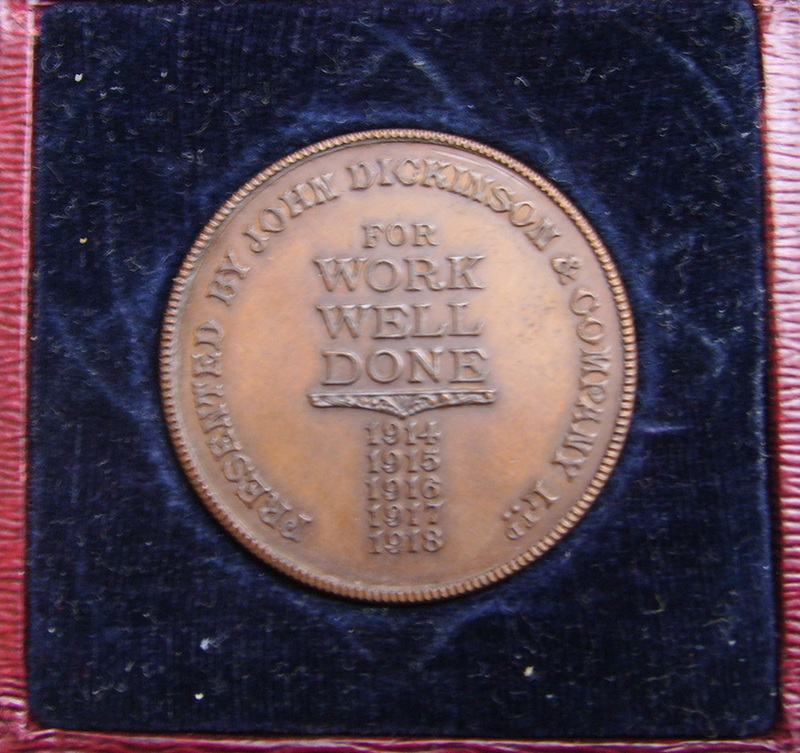 John Dickinson & Company, a caring organisation, recognised the importance of ensuring the welfare and education of its employees and offered many opportunities and amenities to encourage their advancement both at work and in leisure activities. F J T Heckford (Fred), employed by John Dickinson had gained his formal education at the local schools. His potential was recognised and he was encouraged to further his interest in chemistry with a wider view to him assisting in the development of paper-making. As time passed he wrote many technical papers and books for the education of up and coming young paper- makers within the company .In 1912, Heckford’s work entitled, ‘Elementary Introduction to Paper Making’ was published by the Technical Section of The Paper Maker’s Association of Great Britain. 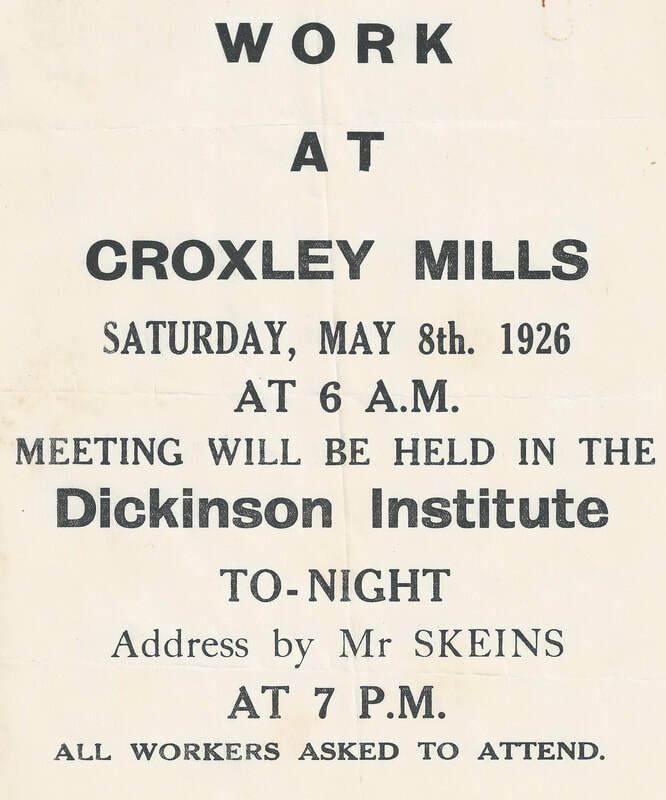 Dr. Julius Grant joined Croxley Mill in 1931. He was one of the first qualified scientists to be employed by the British paper industry. His knowledge of paper and its characteristics was later utilised in detecting paper forgeries. One notable example was his involvement in the investigation of the diaries of Adolf Hitler, the German Nazi dictator. 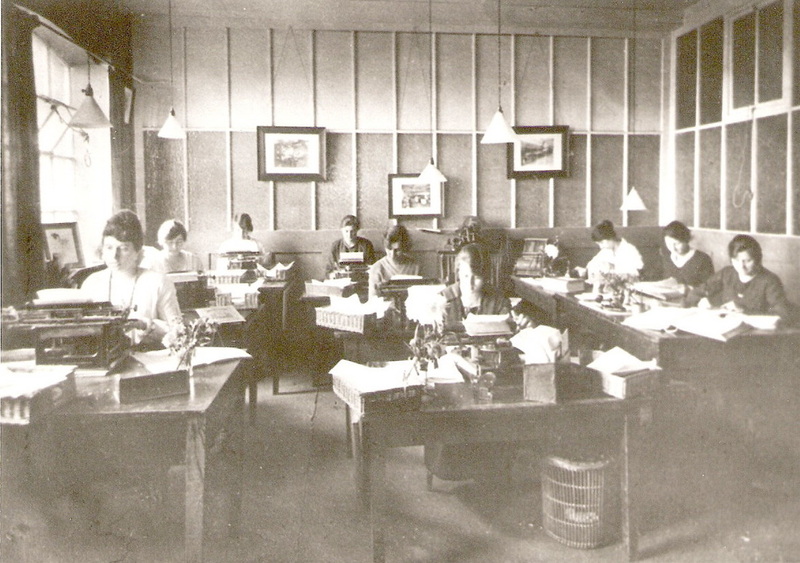 The many families who worked for the company benefited from a social lifestyle that was unique for the time, with sports and recreation facilities. The first annual staff outing occurred in 1890 due largely to the support of Charles Barton – Smith the Mill Manager. It was recorded in the local paper that the outing for 1894 was a seaside trip to Hastings. The events took place on Saturday 14th July and upwards of 1000 staff from Croxley and other local mills were conveyed by train. The majority of the day trippers boarding two trains, one from Boxmoor, most probably the workers from the Nash, Home Park and Apsley mills. Croxley Green Mill workers embarked on the journey at Rickmansworth from the station then in Church Street. They arrived at their destination at 10.30 am after an early start and had a most enjoyable day, returning home well after midnight. The firm contributed the sum of £100 towards their costs. 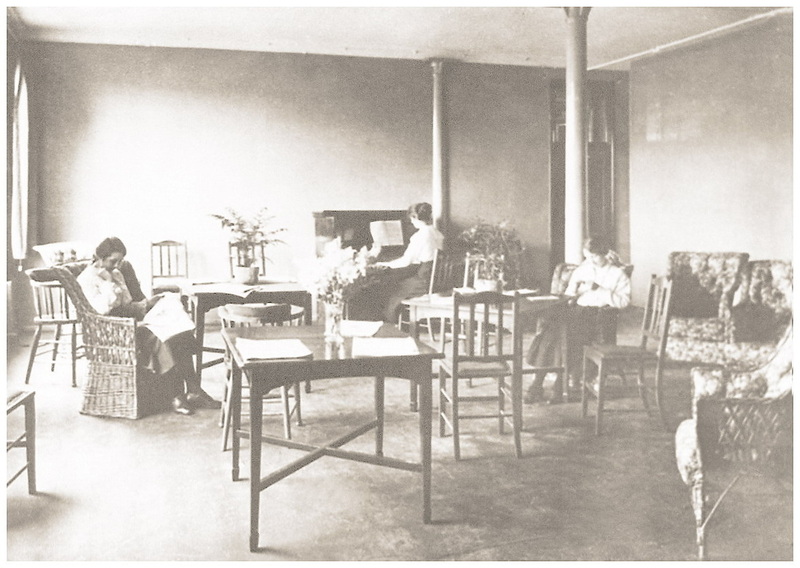 In 1895, the company made available a cottage, 32 Milestone Field (Dickinson Square) and this was adapted for use as a club and reading room. 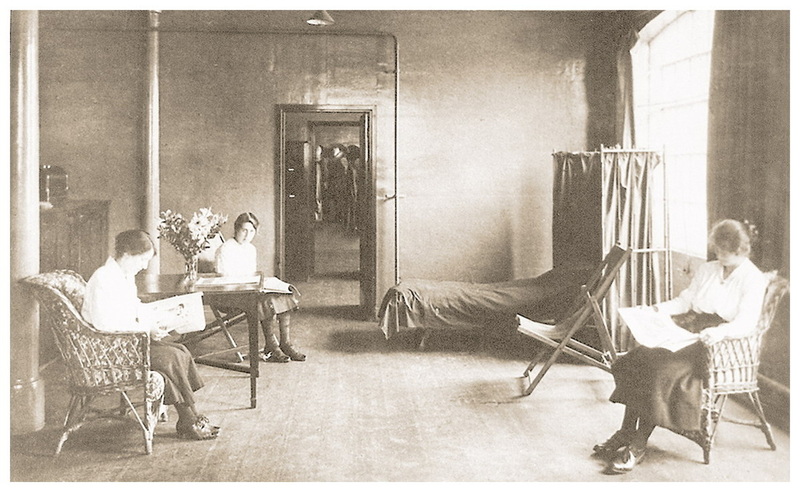 It was known as the ‘Dickinson Institute.’ This facility proved to be so popular that Charles Barton-Smith prevailed upon the firm’s directors to provide a hall with stage, dressing rooms, kitchen and canteen and this was built the following year. Many residents recall that the new facility was on land behind the ‘Institute’ cottage. 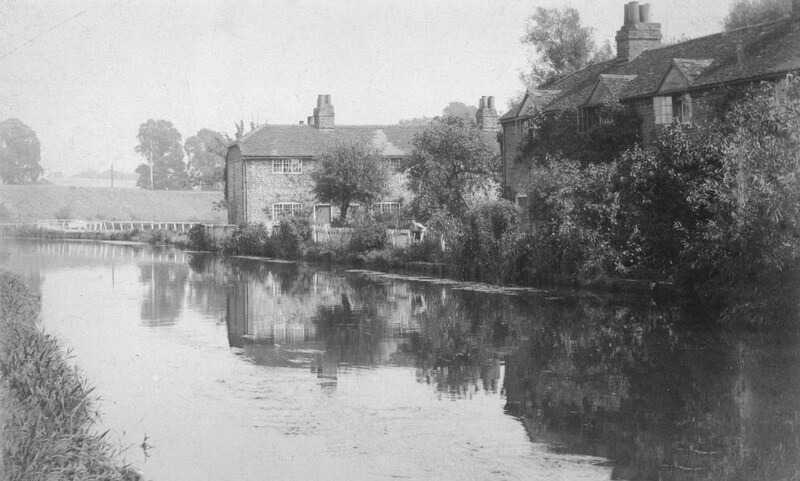 The current Croxley Mill manager Charles Little resigned in 1899 and Charles Barton- Smith was appointed in his place. For many years, until his retirement in 1918, he was a leading figure in the development and progress of village life. 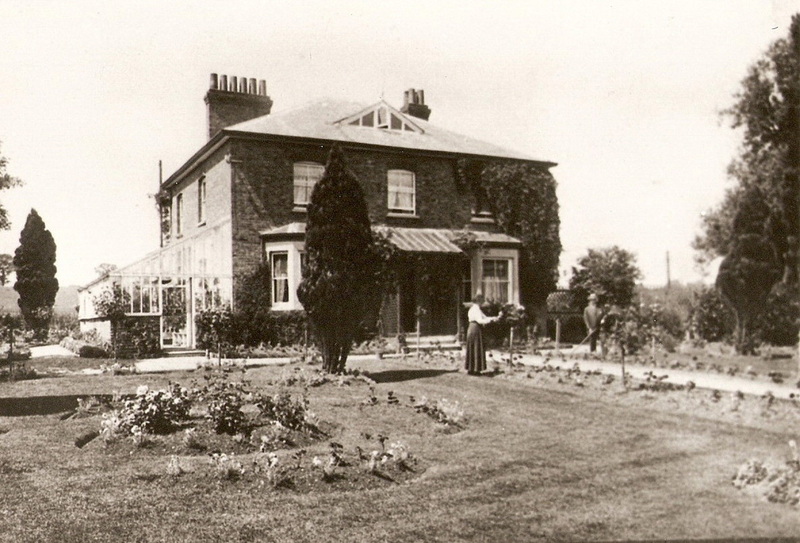 In 1904 the company celebrated its centenary and in honour of this event a new large brick building was opened in New Road on adjacent land in front of the hall and replaced the ‘Institute’ cottage facilities which then became the home of the caretaker. 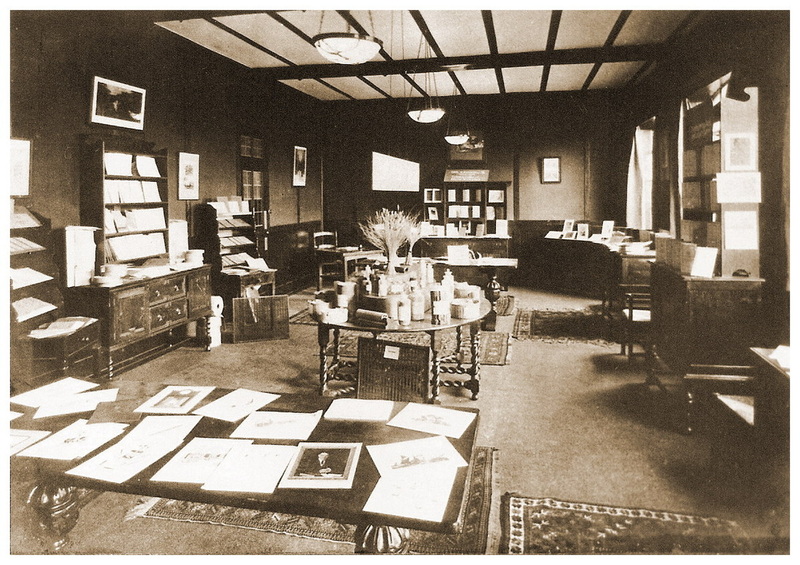 For many years to come the Institute provided superb opportunities for staff recreational and social activities, and, with the generosity of John Dickinson it became possible for all residents of the village to have the same opportunities. 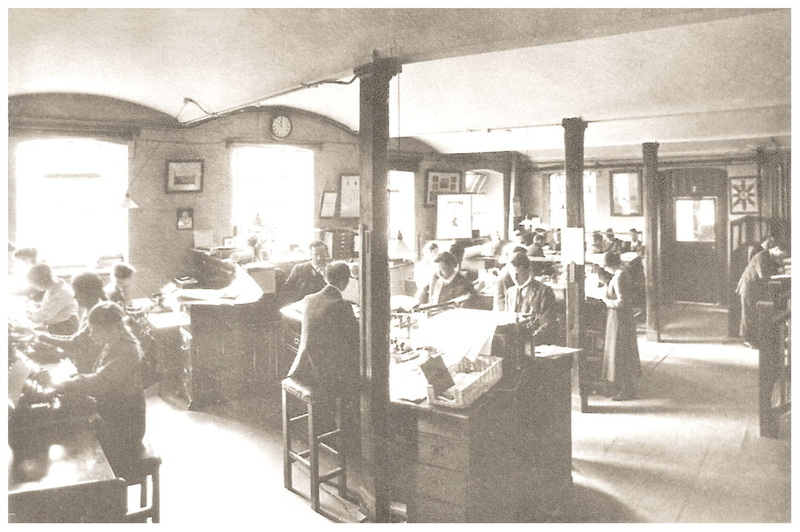 The company continued expanding country- and worldwide but never ceased to consider the benefits it could provide for its staff and this in due course played a part in shaping the future of Croxley Green. All Saints Church was enlarged as a consequence of the increase in employees; the single nave was unable to accommodate the church worshippers. 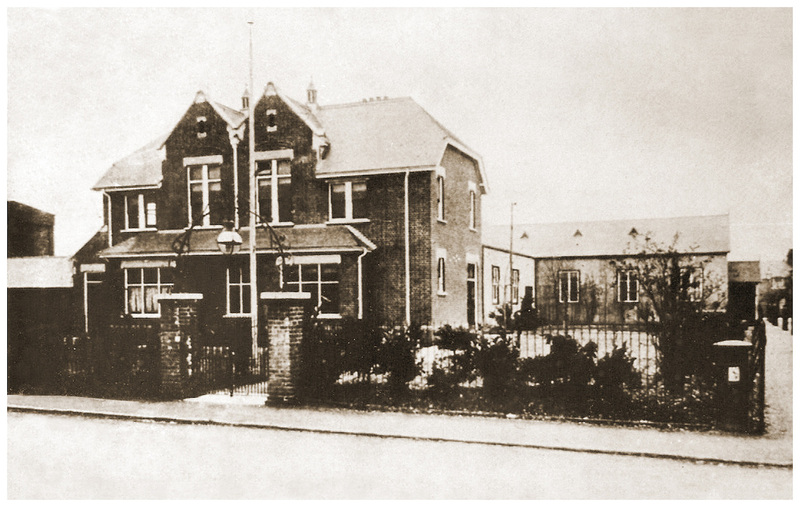 The original school in Garden Road, now Yorke Road, was enlarged many times and a second school was built, both at times receiving financial help from the company. 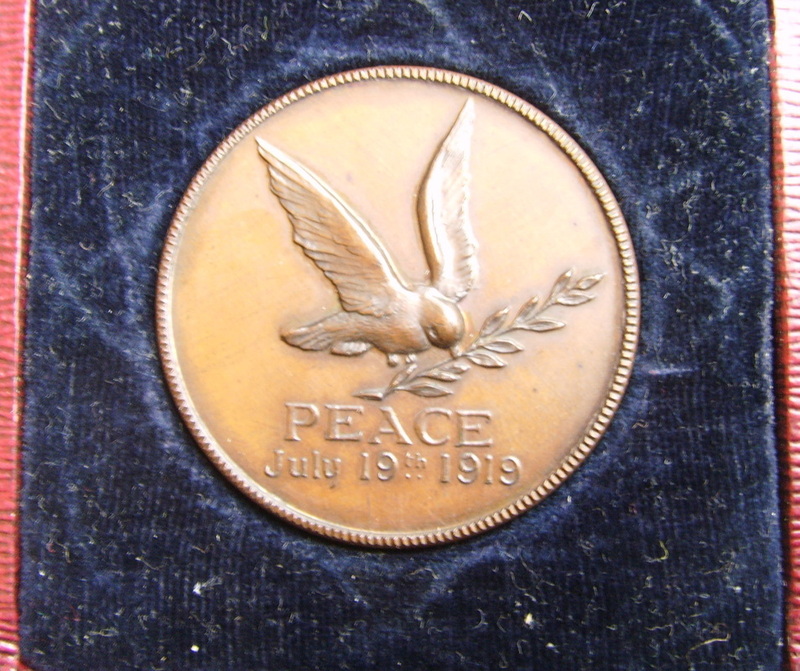 The war in Europe 1914-18 touched many of the young staff at the mill who volunteered to fight against Germany. 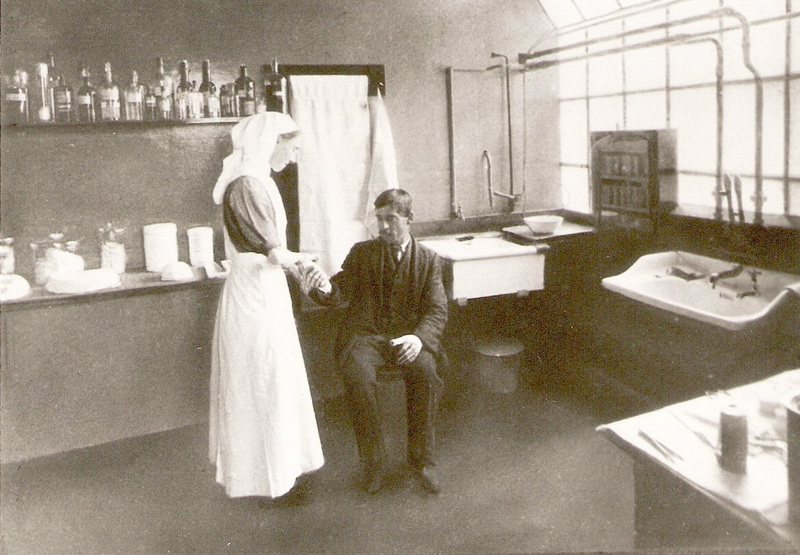 The Institute was used as a VAD hospital for the injured brought home from the battlefields and staff members who had continued to work at the mill during this time also received recognition for their diligence, and were presented with a medal. 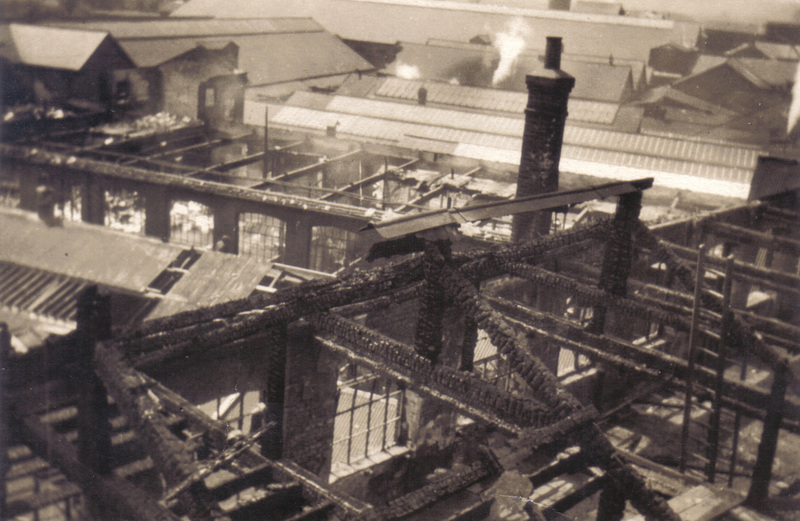 On 22nd May 1924 a fire completely gutted the offices and stationery department at the mill. The fire appears to have broken out a little after 9 o'clock at night in the main offices. 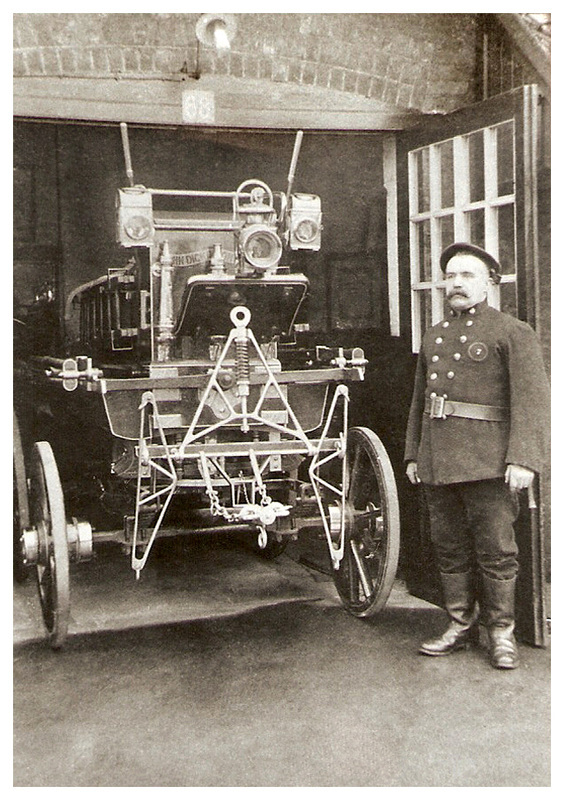 The firm's own fire protection unit was immediately brought into action with assistance from the Watford Brigade and the firm's brigade at Apsley. The flames’ reflection could be seen in the sky for miles around. Brigades including those from Rickmansworth, St Albans, Hemel Hempstead, Bushey, Kodak (Harrow), Berkhamstead and Chesham responded to the call for more assistance as the fire raged through the buildings. In total, 10 brigades and 150 firemen were at the scene. 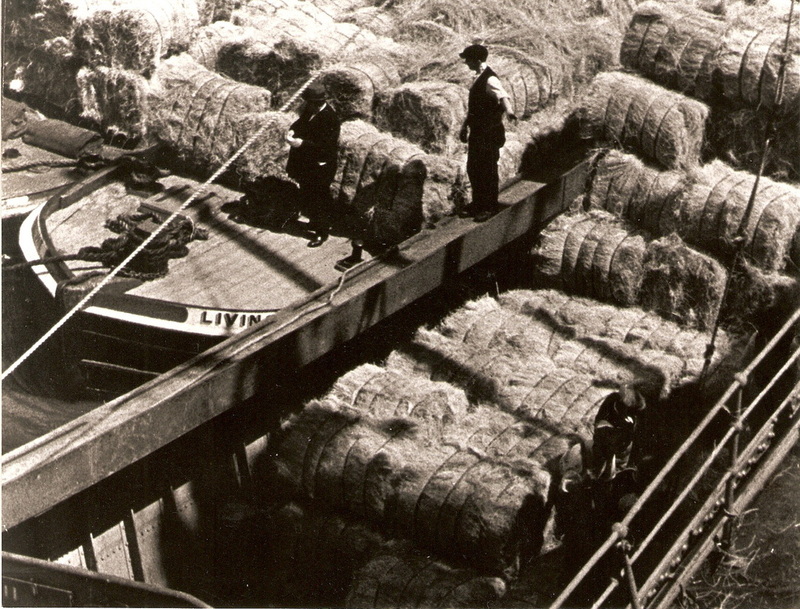 The productive side of the mill remained at work and their valuable machinery was saved. Mr. M Skeins the General Manager, Mr. Kingham and Mr. Barton-Smith were amongst those on hand to give aid. That same year on the 22nd July, a visit by the local Grammar School for Boys had been arranged. A small party of Sixth Form boys from the Science department assembled outside the new offices for an official guided tour. 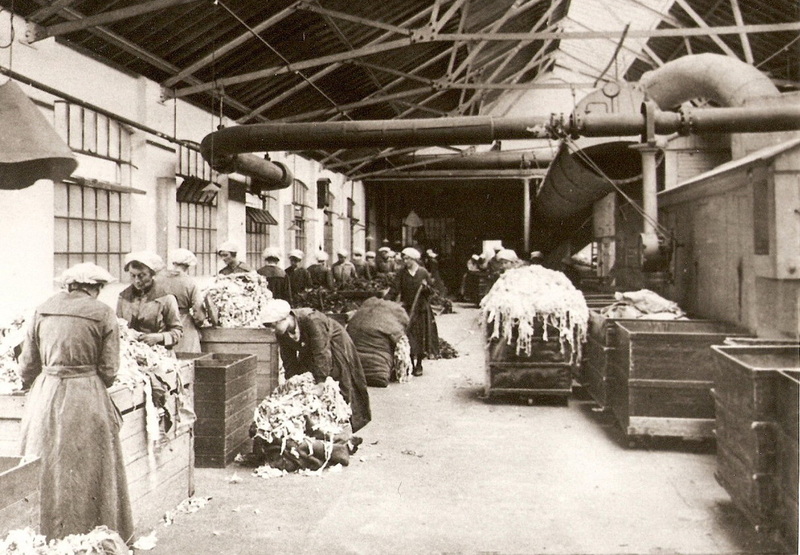 They were shown the complete process of paper making from the initial processing of raw materials including rags, esparto grass and wood pulp and the Power House where boilers created steam to generate electricity that ran the machines to the final output of ‘ready to use’ sheets of paper. 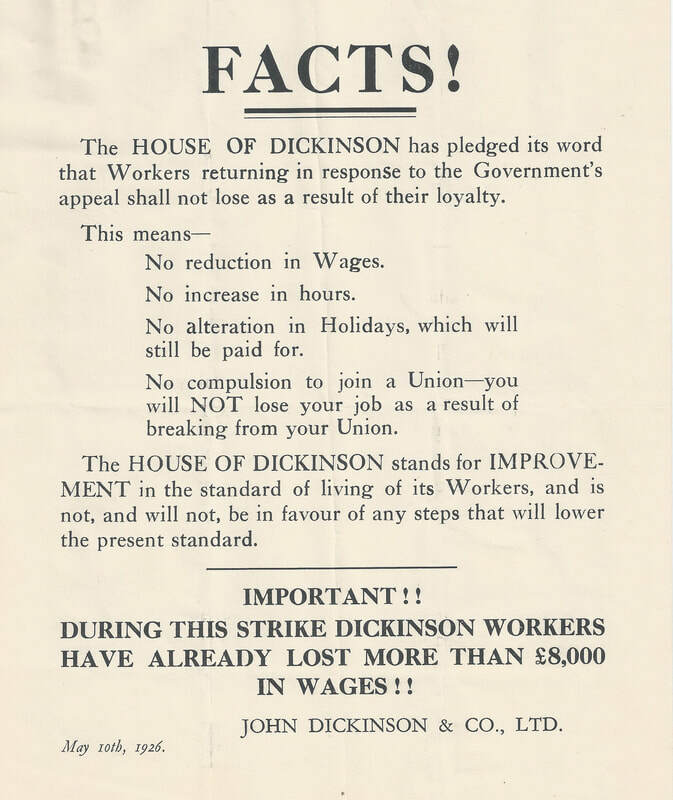 In the mid 1920’s, a period of industrial national unrest and deprivation culminating in the General Strike had its effect on management / staff relations within John Dickinson’s. For a period, the mill closed down, and, subsequent to a meeting between the employees and the managers, the workforce were encouraged to form their own union. It was agreed that the employees would have more control over their future by taking this route. It was decided therefore that staff would form a united organisation to be known as The Union of the House of Dickinson. The Dickinson Institute in New Road thereafter became known as The Guildhouse. 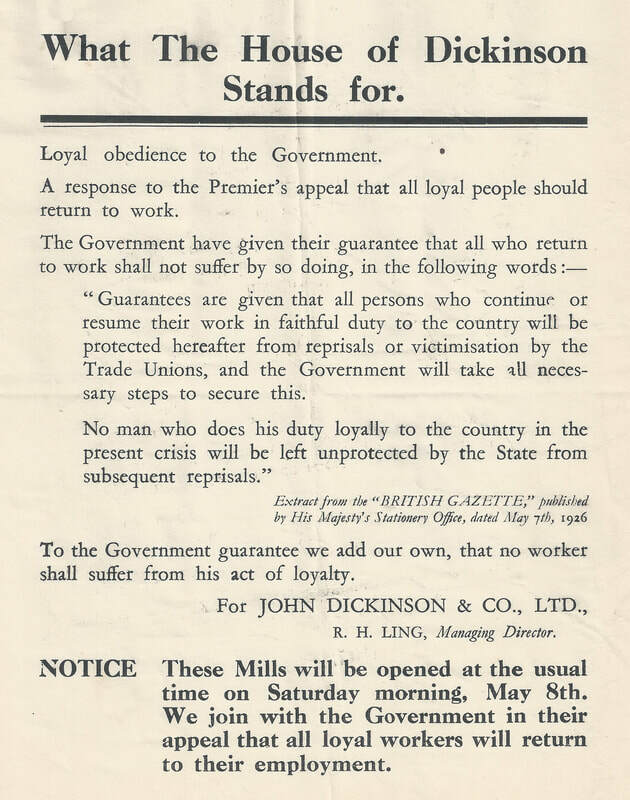 During this period the company appeared to be anxious that the mill workers were made aware of the facts and the consequences regarding their future employment at the mill. 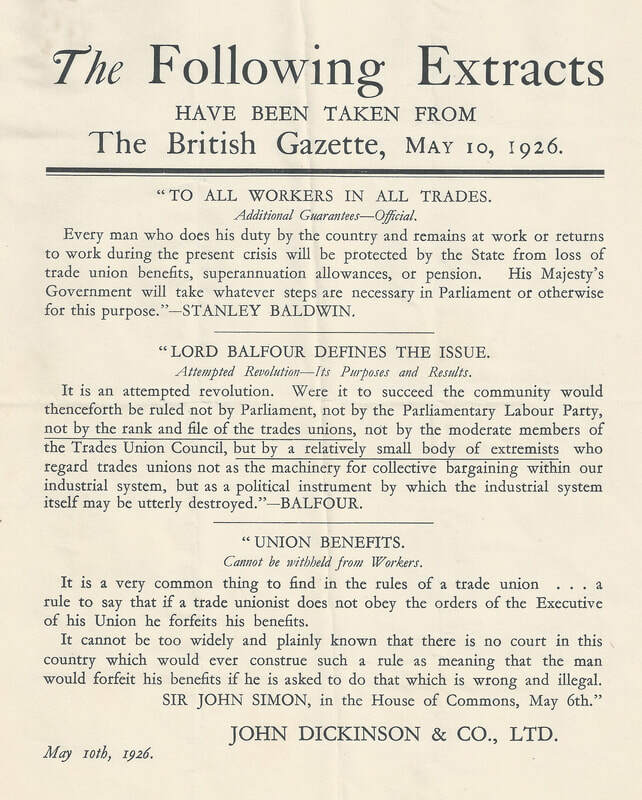 A series of notices were published to explain the impact the strike was making on the mill production and in time on the future of all. Staff over the age of 18 years were given the opportunity to make contributions into a pension scheme. This scheme continued through to the Second World War when John Dickinson paid the contributions for all members serving in the forces. After the war the scheme changed, whereby the company paid all the contributions for their workforce pensions. John Dickinson was initially drawn to the area because of the good source of water from the River Gade/canal that could be diverted through the mills to create the basis for power and steam. The canal system, having started at different points in the country, provided an efficient means for transporting basic supplies around as the road systems were in a poor state. The waterway through Croxley Green runs from Birmingham in the Midlands connecting to the River Thames at Brentford in London. Branches were added to connect to other major towns. This reliable method of transport moved goods to and from each mill. Various ownership names were given to the canal system as it developed and it was eventually named the Grand Union Canal as we know it today. A new type of boat was designed to navigate the relatively shallow but narrow waterways commonly known as ‘the cut’. These narrow boats were hired and plied initially by individual boatmen for many companies as well as John Dickinson. 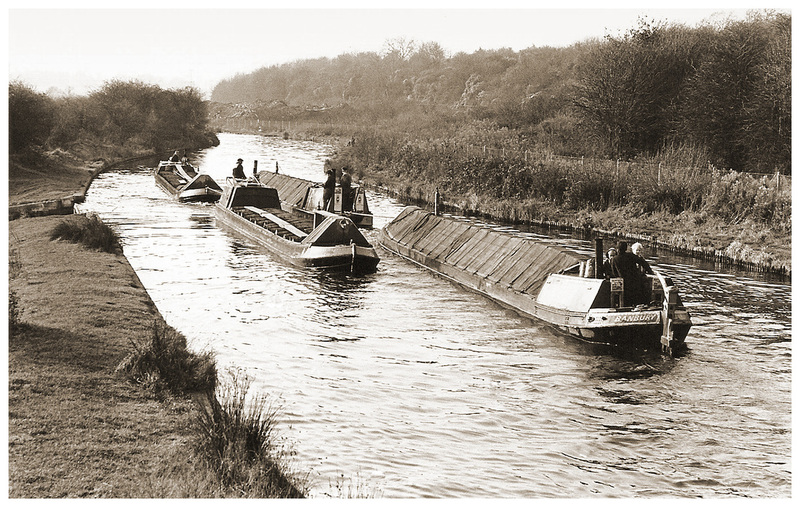 Eventually, the company owned many of its own craft and the narrow boats would transport coal from the Warwickshire collieries to Croxley Mill as well as transferring materials between the mills. Finished paper goods would also be conveyed to the docks in London and on return the basic raw goods were delivered, including esparto grass from as far away as Egypt. Initially pulled by horse, the boats could take many days for a delivery but once powered engines were introduced speed was of the essence. On many occasions competition was fierce between the boatmen who became known as ‘The Croxley Dashers’. Many established carrying companies were also used by Dickinson and these boats were often painted in Dickinson’s own colours and logo. 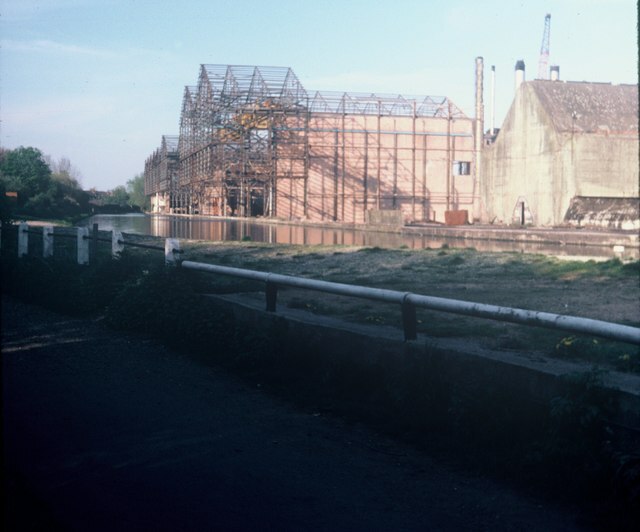 Walkers, a family of experienced boat builders opened a yard at Frogmore, Rickmansworth in the early 1900’s as merchants for coal, timber and later gravel and building supplies. William Walker, originally an apprenticed boat builder, soon put his skills into boat building and many John Dickinson boats were crafted. 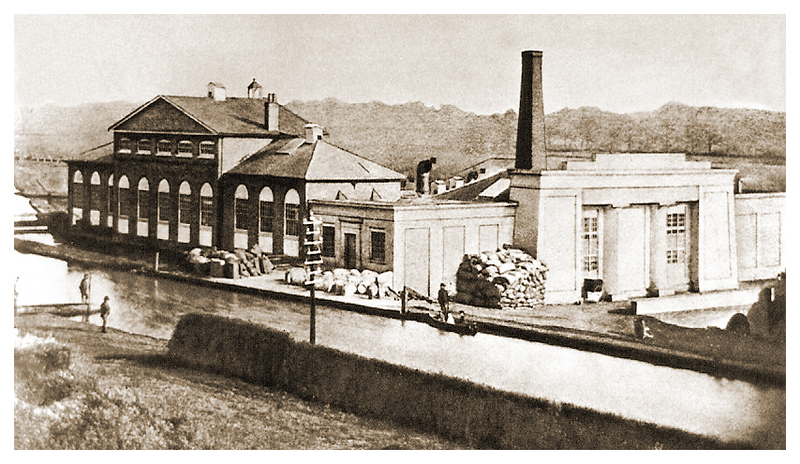 During the Second World War the mill switched to war related production. It produced board for making fuse caps for munitions, mapping paper and anti -radar paper which apparently gave some protection to bomber crews when operational over occupied territory. By the 1960’s there were six paper making machines making different widths of paper and each one given its own number. Machine number four installed in 1881 could still produce an average of 50 tons per week with others maximizing their output at up to 400 per week. At this time the work force numbered approximately 1000. As part of the processing, the Mill used large quantities of chemicals as well as bleach and soda solutions that were mixed with the water from the River Gade. The treated waste water was returned to the River Gade but caused pollution and damage to the balance of the fish stocks. However, when the sewerage treatment works opened in Maple Cross there was provision made for the 60,000 gallons per hour of waste water to be directly transferred from the mill to the plant. 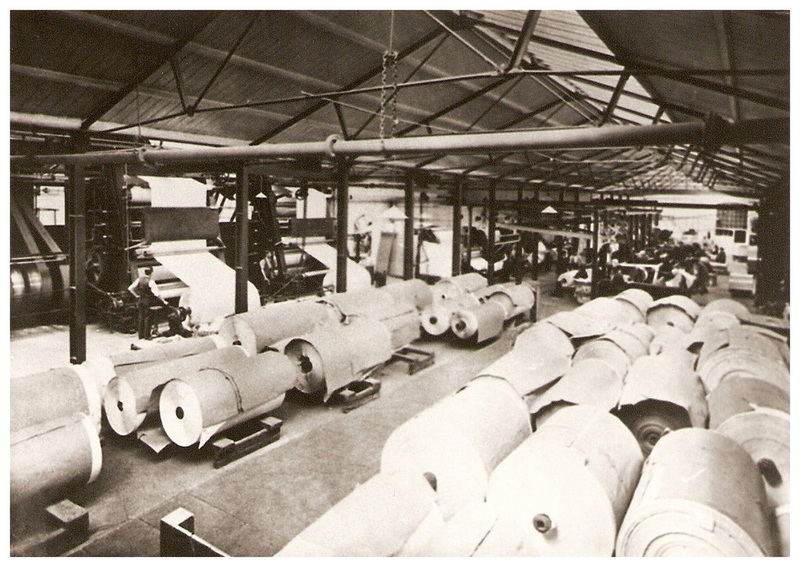 During the 1960’s, a merger between John Dickinson and Co Ltd and E.S &A Robinson & Co Ltd based at Bristol formed The Dickinson Robinson Group (DRG) and gave rise to an enlarged paper-making capacity thereby increasing the tonnage output. 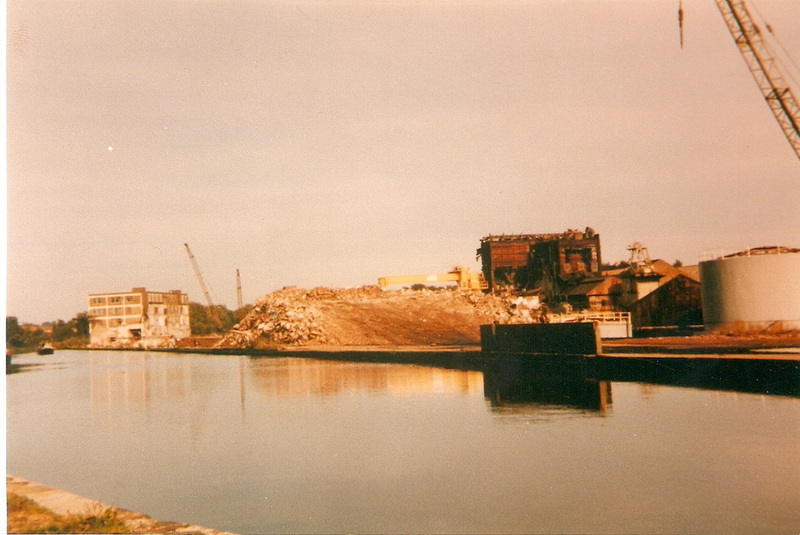 During the years that followed there were several developments which affected the ultimate fate of Croxley Mill. 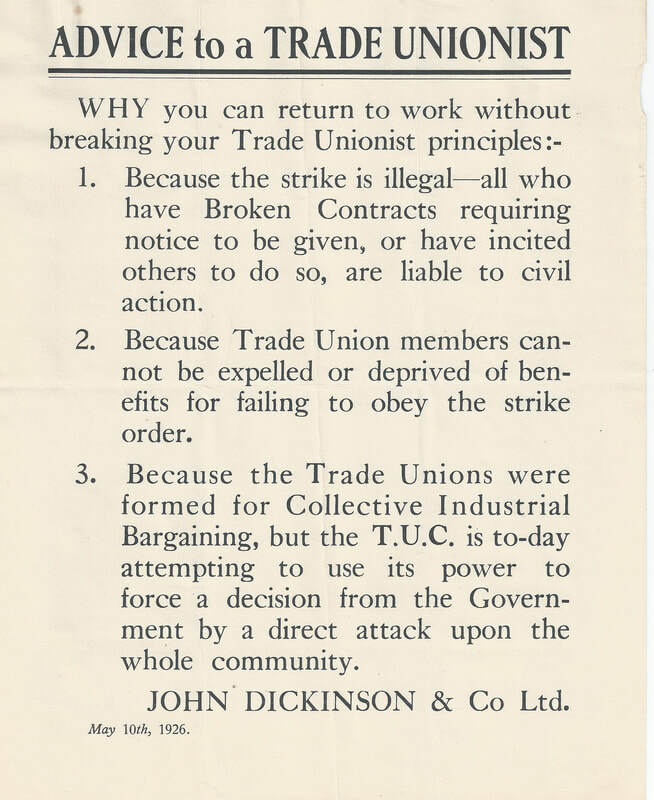 In 1961, restrictions were dropped regarding membership of outside Unions which eventually led to many stoppages. 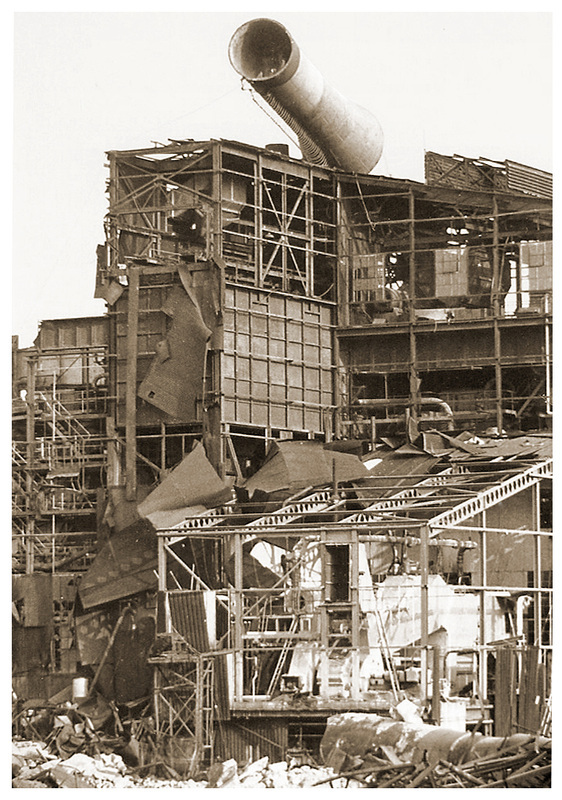 The Oil Crisis and the Three Day Week in the mid – seventies and the decision to replace the No 4 Machine proved very costly as did the shortage of suitable orders.